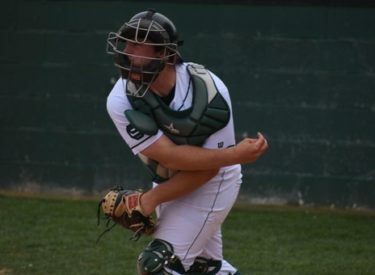 LIBERAL, Kan. – The Seward County Community College baseball team jumped out to an early lead, but the relievers struggled and the bats went silent in an 11-3 defeat to Clarendon College on Tuesday at Brent Gould Field. The non-conference loss dropped the Saints to 16-17 overall. Seward got out to a fast start, scoring three times in the first inning. Run-scoring singles by Cayde Ward, Ben Tsui and Jordan Kennedy gave the Saints a 3-0 lead. Zane Alexander also doubled in the inning. That was the extent of the Seward offense, which managed only two hits the rest of the game and was no-hit over the final five innings. Alexander singled in the second and Jose Caraballo singled in the fourth to account for only other hits for the Saints. Steven Craddock started for Seward and allowed two runs on three hits, struck out three and walked three over four innings. Clarendon scored a pair of runs in the fourth off Craddock before he left with the lead. Rene Ramirez (0-2) relieved Craddock and was hit hard in the fifth, his only inning of work. In taking the loss, Ramirez allowed four runs, three earned, on four hits, struck out two and served up a homer. Clarendon took a 6-3 lead and never looked back. The Bulldogs added five runs over the next three innings to cap the scoring at 11-3. Seward reliever Cory Didier allowed four runs, one earned, on three hits, struck out three and walked three over two innings. AJ Folds relieved Didier and gave up one run on two hits and struck out two in an inning. Ryan Giberson finished the game with a walk in a scoreless inning. The Saints return to conference play with a doubleheader at Dodge City at 3 p.m. on Thursday.